Bubble Incredible is a unique bubble shooting puzzle game newly released in October 2016. 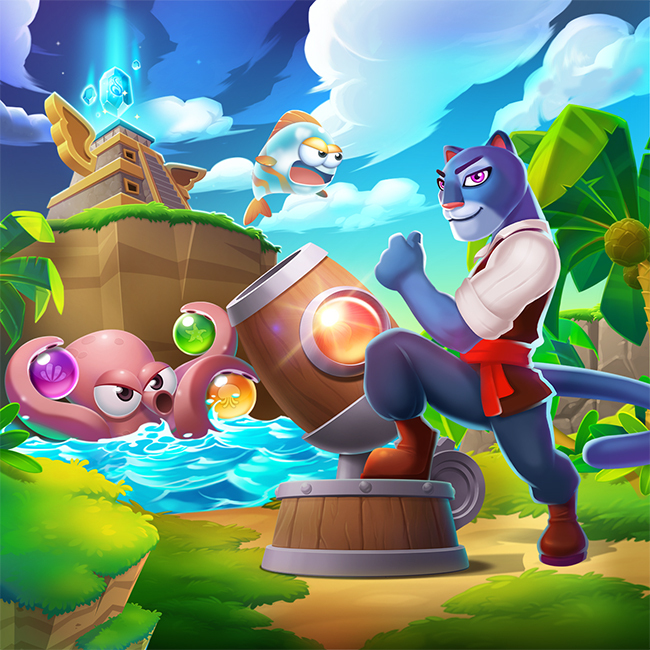 Starting out fresh as novice adventurers and treasure hunters, Fortune, the cheerful and witty bunny, and Nate, the brave and formidable panther, explore the scenic world of Bubble Incredible. The duo takes on a mission to save golden turtles trapped in bubbles, who in return, promise to help them find the legendary treasure. Playing Bubble Incredible, you will need to work your strategy and aim carefully to shoot bubbles through a powerful bubble cannon armed with various special powers and achieve mission goals. Join the courageous partners in this exciting quest and sail on! Aim well and unload those bubbles! The higher your score, the more stars you get! Dress up with numerous costumes and put yourself in matching shoes, too! Charge your special powers and watch them do wonders on the puzzle board!